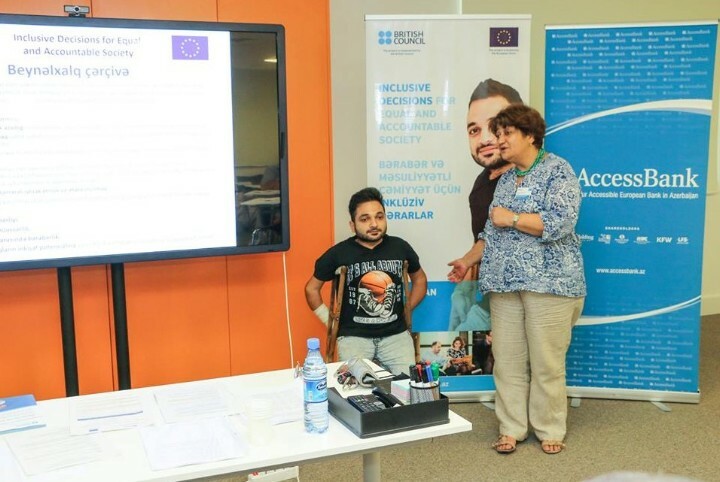 “Inclusive Decisions for Equal and Accountable Society” (IDEAS), a project supported by he European Union, is being implemented in cooperation with the Center for Innovations in Education (CIE) and British Council. The main aim of the project is to strengthen the cooperation between the government and NGOs working with disabled persons, to support the protection of people with disabilities and to organize activities to raise awereness about their rights to education. This project started in April 2013 and has now entered the final stage. 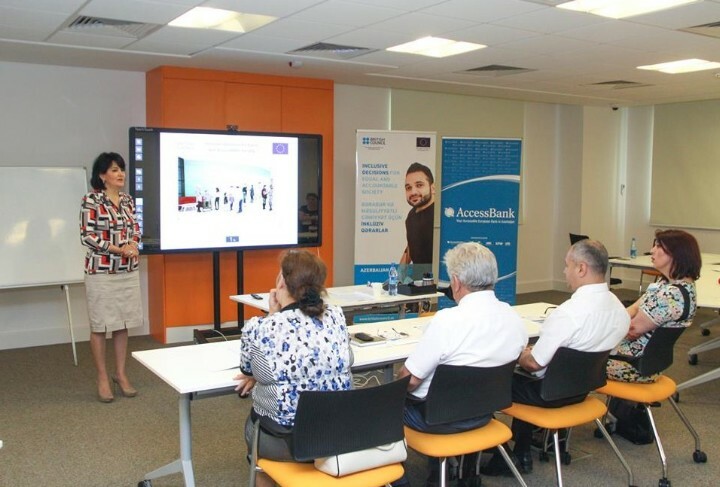 Recently, within the project, trainings for 50 school principles from Baku were organized at the head office of Access Bank. 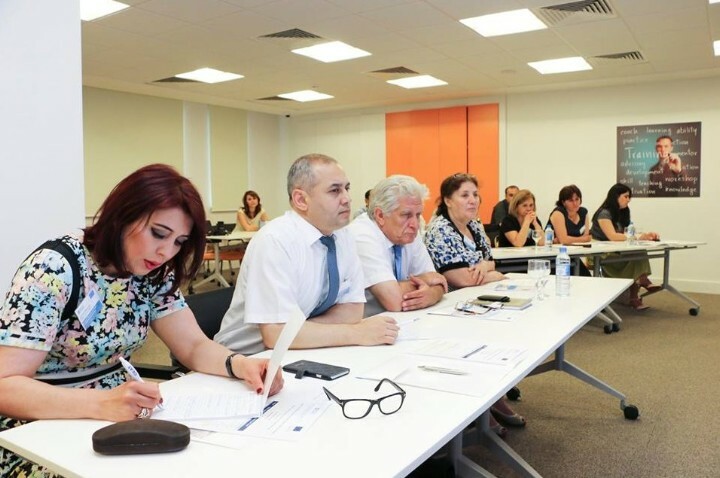 The employees of Baku Education Department participated at the opening ceremony of the trainings. Participants of the training could learn about the philosophic foundations and the existing different models of inclusive educations and international experience about the topic. “I was very impressed with the efforts of every participant to contribute to involvement of disabled people to the education process. It is not important only for schools, it is also very necessary for our society. We are proud of implementation of the project and glad to cooperate with the participants”, said Elizabeth White, the head of British Council Azerbaijan, during her speech. The trainings also aim to support reforms of the government aiming at creating inclusive education models, taking into account the State Strategy of the Republic of Azerbaijan on Educational Development.